Covered with snow year-round and visible from more than a hundred miles away, Mt. 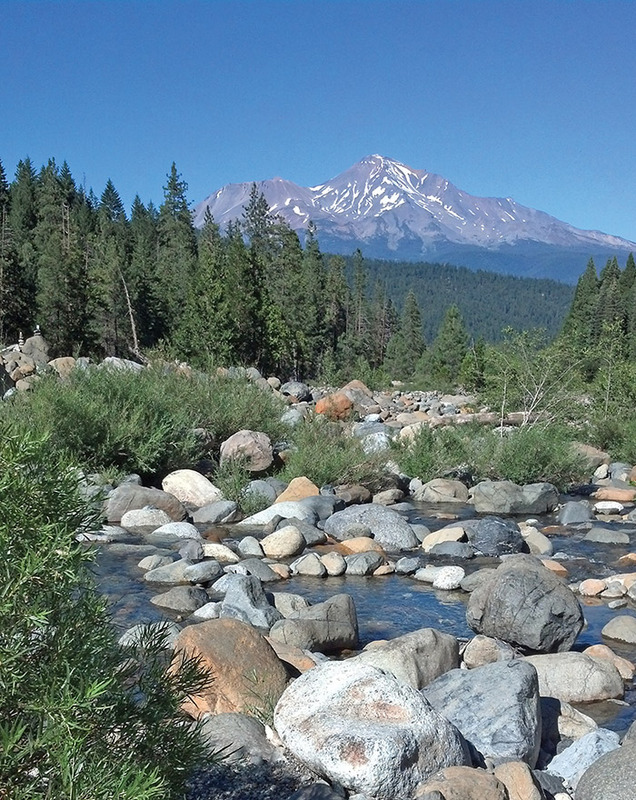 Shasta is undoubtedly the Shasta Cascade region’s most famous landmark. 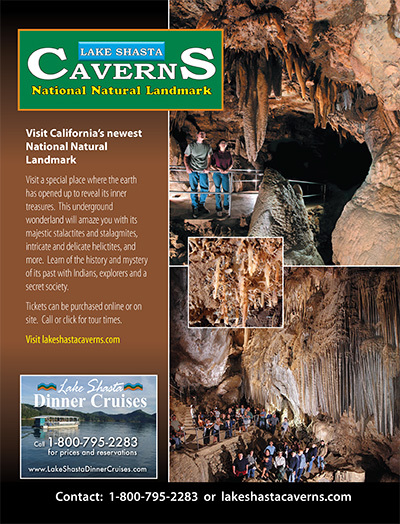 Visitors flock to it from all over the world to marvel at its sheer immensity and breathtaking beauty — and yet it is only one of the many extraordinary attractions awaiting visitors to Northern California’s largest county. With large expanses of pristine wilderness and a diversity of environments spanning mountains, lakes, dense forests, rivers, waterfalls, desert, lava beds and wide, tree-lined meadows, Siskiyou County is paradise for anyone who loves the outdoors. Its water is so pure and refreshing that it is bottled and sold throughout the United States. Here you can ski snowy mountains, fish and raft crystal clear rivers, swim in jewel-like lakes, and hike, climb, and camp in spectacular wilderness areas. Don’t miss a drive on Hwy 96, which was designated the Bigfoot Scenic Byway by Six Rivers National Forest in 2000. At Somes Bar, the byway crosses the Salmon River. The rest of Hwy 96 parallels the Klamath almost to I-5 and Yreka. The Klamath River is a premier rafting destination. Its upper reaches are known for intense rapids, while the Lower Klamath is suited to more mild family activities. For an interesting side trip, take Salmon River Rd. from Somes Bar to Forks of Salmon, a tiny town set at the delightful confluence of the North and South Forks of the Salmon River. Lava Beds National Monument is a popular family destination in northeastern Siskiyou County. More than 700 caves, Native American rock art sites, historic battlefields and campsites, and a high desert wilderness experience await those who visit it. Siskiyou County offers accommodations for visitors that range from the very best in upscale lodgings to rustic, affordable cabins and campsites with million-dollar views. Dining choices are varied and plentiful, with something for every palate and budget. Culture and the arts are also alive and well in Siskiyou County. Art galleries grace the streets of Mt. 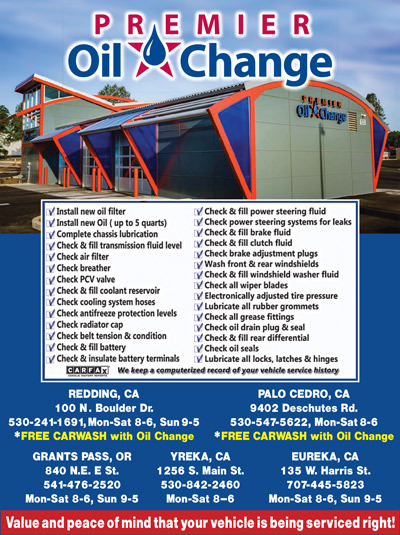 Shasta, McCloud, Weed, Yreka, Dunsmuir, Fort Jones and Happy Camp. Visitors can enjoy exhibitions, openings, special events and a 4th Friday Art Walk every month in the town of Mt. Shasta. Gift shops carrying delightful and unexpected treasures abound. Another sort of treasure can be found in many of the beautiful creeks and rivers that run through Siskiyou County, where panning for gold remains a popular recreational activity and a reminder of the area’s Gold Rush heritage. While panning usually produces “color” in the form of small flakes of gold, every now and then a lucky prospector will find and take home a valuable nugget. Congratulations to Deborah Ketelsen for submitting this winning photo of Mt. Shasta taken from the Siskiyou Lake area!